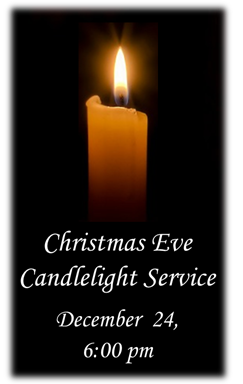 You are invited to join us for Christmas Eve Worship on Monday, December 24, at 6:00 pm. Everyone is welcome to participate in this annual celebration of Christ's birth. Feel free to come as you are and to bring your friends and family!